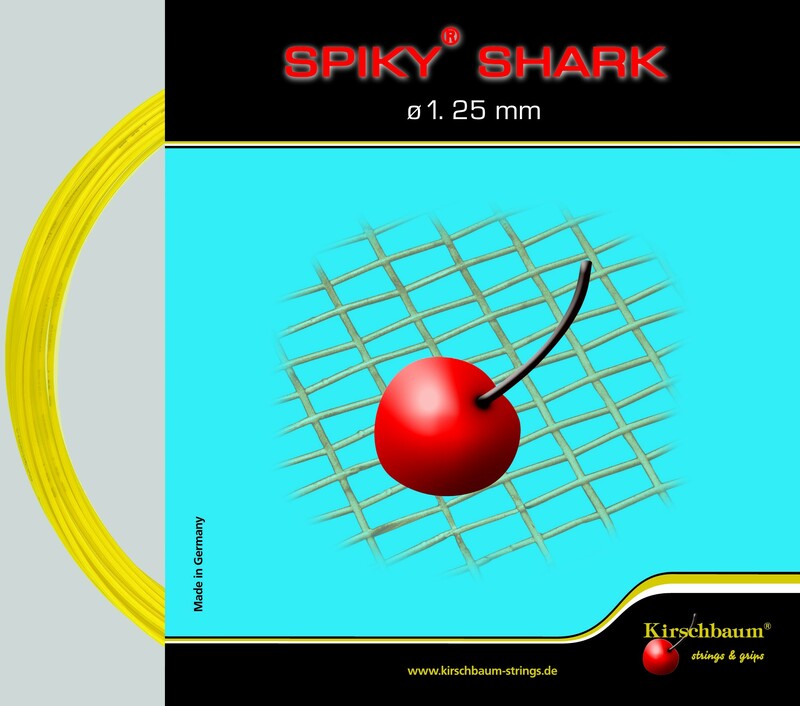 Spikey Shark's special polyester has a softer feel than other polyester strings and creates a very lively, powerful string-bed with a large sweet spot. Kirschbaum Spiky Shark features an octagonal geometry and the classic Kirschbaum Spiky texture. Using a special technique Kirschbaum has created distinctive peaks on the outer surface of the string to optimize the grip on the ball. This texture helps produce more spin on the ball. Durability is improved as a result of less string movement. Spikey Shark's special polyester has a softer feel than other polyester strings and creates a very lively, powerful string-bed with a large sweet spot. Composition: Polyester with special textured outer geometry.